In James Brown’s voice, “This is a man’s world….” With the almost hushed and unacknowledged presence of female software developers, one wonders if those five words are line right. Luckily that musical masterpiece went beyond those first five words. In time past, the male folks were usually associated with the kind of jobs that required brawn and also the ones that require brains. Soon women began to challenge that stereotype. Now it is easy to see women playing all sorts of physical and intellectual roles in society. Science itself wasn’t left out as women have continued to break grounds in innovative and contributory ways in science-related fields. Have women succeeded in breaking into the world of technology and software development? Research has shown that despite the odd ratio of male versus female developers (the higher odds were in favor of the male populace), there are quite a good number of Female Software developers. So then where are they? Oh, they are there! There, working on projects and being impactful. From research, most female software developers have found it easier to become almost invisible than deal with the awkwardness around them. Although a lot of changes have occurred and women are now being accepted and even encouraged to go into any field or profession of their choice, some still have encounters with those one or two persons who seem to find the idea of female software developers a bitter pill to swallow. 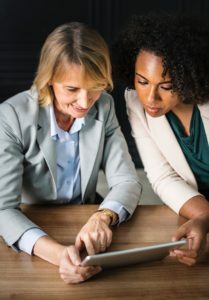 In male-dominated professions, there appears to be some unspoken rule which States that the female worker will have to work better and harder than their male counterparts and still get little or no credit for the job. It is called a glass ceiling. When a female software developer has her ability called in question, it raises a couple of red flags. We have female developers who are good and are making waves in their fields. How can the Existence of Female Software Developers be acknowledged? Create an environment better suited to women with kids to encourage their work and build a female-friendly environment. Curb stereotypical words and actions towards female developers in work environment. Maintain similar standards of acknowledgment and compensation for male and female developers on the same task level. There are female software developers and with the increasing encouragement to introduce young girls to STEM subjects, more and more female software developers are on the rise. We have to create a working environment that allows female developers to work, create, be acknowledged and flourish without the presence of a glass ceiling. We would love to hear thoughts on this subject! Do you agree? Do you know any amazing women in IT that you want to give a shout out to? Please feel free to submit any questions or comments in the section below. If you like this post, click the “Like” button. However, if you love this post, “Share” it. Thanks! INTERESTED IN LEARNING MORE ABOUT STSI AND OUR SERVICES? PLEASE CLICK THIS LINK TO CONTACT US! Consistency is the one word that comes to mind when thinking of Summerset Technology Solutions. No pie in the sky, no used car salesman pitch or price haggling. Just steady honest consistent delivery. Which leads me to another word that encapsulates my business relationship with Summerset Technology Solutions; trust. And that is a word that is hard to come by but much appreciated.